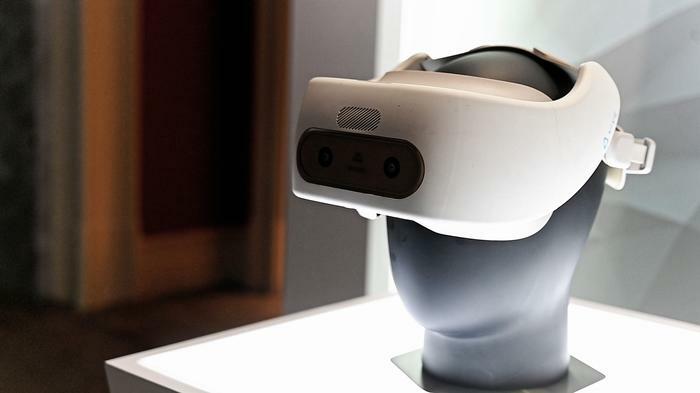 While 8K and rollable TVs made for some of the flashiest tech on the CES 2019 show floor, 3D and spatial audio tech was also a noticeable trend at this year's iteration of the world's largest consumer electronics tradeshow. With noise-cancelling and hi-res audio support becoming more and more ubiquitous, major audio brands are actively searching for the next big feature in consumer-grade headphones. And more than a few of these brands have settled on 3D (or spatial) audio as that feature. The first - and perhaps most impressively demonstrated - of these technologies was Sony's "360 Reality Audio", which debuted at the company's press conference. At that time, we'll be honest, it seemed like a pretty big gimmick. However, it wasn't until we experienced a demo of the tech in action that the appeal fully clicked with us. Plenty of companies have tried and failed to sell consumers on the idea of 3D audio in the past. At CES 2019, it felt like the technology was starting to resonate. Part of the reason for this is was that modern 3D (or enhanced or spatial) audio is now mature enough as a technology that the demands it makes of consumers aren't all that ardous. And the simplicity of the demo for Sony's 360 Reality Audio was a big part of its appeal. CES attendees were shepherded into a (mostly) soundproofed booth. They'd listen to some music samples produced by then 13-speaker array within. Then, they'd put on a pair of Sony headphones and experience how well Sony's 360 Reality Audio was capable of simulating the sensation of sounds coming at your from different places. According to the company, "360 Reality Audio produces a three-dimensional sound field where the different sounds and musical elements can be projected in full 360-degree, powered by Sony's object-based spatial audio technology." On Sony's end, the idea here is to roll out the capability for artists to use the tech to make 360 Reality Content and position it as a new, premium music standard. 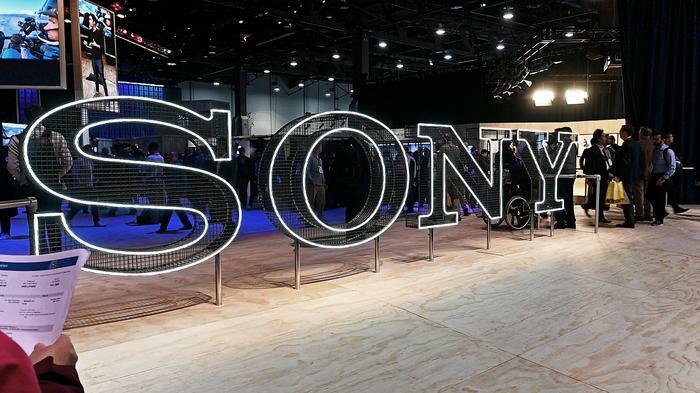 Sony say they've partnered with select Live Nation Clubs & Theatres to capture audio from an array of concerts including The Wombats, AJR, Good Charlotte, Kodaline to kick things off. When the feature eventually rolls out, users will be able to access the audio content of the aforementioned artists by putting on their headphones and loading up “360 Reality Audio” content that Sony say will be provided via premium streaming services including Deezer and TIDAL. No word yet on Spotify, Apple Music or Youtube Music. Also worth noting is that, prior to our demo, we had to have our headphones individually tuned and calibrated using a microphones. Sony say that they're working to miniaturize this process into an app or smart function native to their headphones - so no external equipment is required. In any case, Sony are clearly putting their chips on their ability to draw big name artists to embrace the technology and make it known to their audiences. Whether that strategy will pan out, it's hard to say. This "artists-first, fans-follow" makes for a sharp contrast to the "user-first" approach being used by Super X-FI. 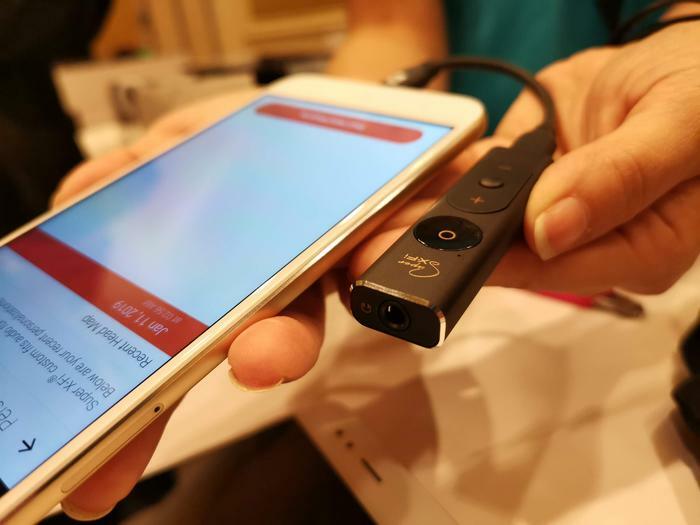 The second set of 3D audio headphones we encountered at CES 2019, Super X-FI's approach is slightly different to Sony's in that it relies on accessory rather than the tech built into their headphones. The pros and cons here are pretty much what you'd expect. On one hand, you won't need to buy an expensive set of headphones in order to experience 3D audio with Super X-FI. On the other hand, there's definitely a shortcoming in convenience when it comes to using this amp. For better or worse, the only thing you'll need to experience 3D audio with Super X-FI is their relatively-inexpensive amplifier accessory. Like Sony's demo, Super X-FI's demo saw us enter roomful of speakers, get ourselves calibrated and listen to music played through a multi-speaker system. Then, we'd listen to the same music through headphones and notice how closely the headphone playback gets to nailing the sense that the music is coming from outside the headphones. However, where Sony's demo relied on a more-rudimentary calibration process, Super X-FI have already integrated into an app. You get a friend to take some photos of the shape of your head and ears - then the app generates a unique sound profile. Super X-FI told us that they've sampled hundreds of different head sizes and are using the data from that sampling in order to inform how the 'audio holography' enabled by their accessory is customized. Thankfully, you won't have to open the app everytime you want to listen to 3D audio. The first time you pair the app to your amp, it moves all the data over and you're good to go from there. While this amp-integrated approach does put S-XFI in a position to bring 3D audio tech to market right now, it's not without its drawbacks. For one, it relies on a lot of dongles - which hurts the convenience aspect of actually experiencing 3D audio. If you're an iPhone user, the situation is particularly bad . You'll need a Lightning-to-USB Type-C to daisy-chain your phone to the USB Type-C cable used by the Super X-FI Amp and then cable the amp into your headphones via audio jack. There's so many points of potential failure, I don't even know where to begin. In action though, audio experience through the Super X-FI amp sounds really lifelike. It's just a shame that, in practice, the setup here seems far from ideal. 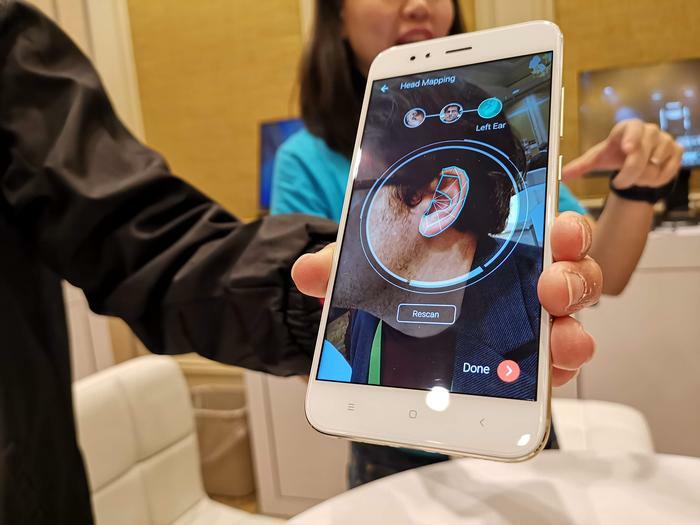 There a lot of consumer pain-points here, and those pain-points are inevitably going to be a barrier for many looking at Super X-FI's solution as an entry point to 3D audio. Regardless, it'll be interesting to see if Sony's approach will be able to sidestep them or succeed where Super X-FI have arguably already failed. Of course, 3D audio is by no means a two-horse race. There's also Sennheiser. The German audio company have been dabbling in the 3D, spatial audio arena with their AMBEO tech for a while now. 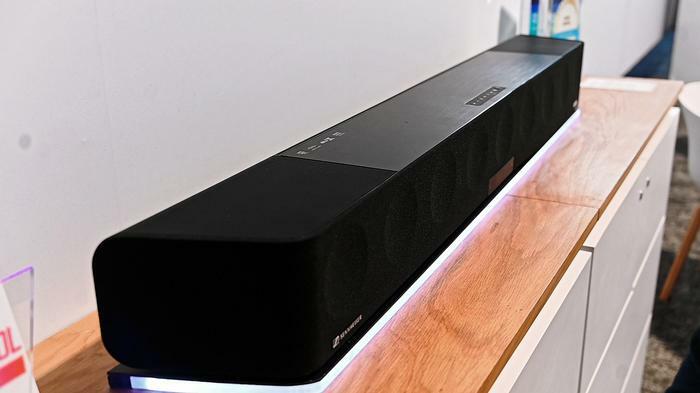 The company have released several AMBEO products in recent years but the arrival of their first AMBEO-powered soundbar feels like a major milestone when it comes to taking tech into the mainstream. Prior to this, Sennheiser's enhanced audio sub-brand has been more about building a new class of audio experiences for VR use. Sennheiser's Dr Veronique Larcher tells us that 3D audio's value is driven by its various use-cases, and has actually been actively used at call-centers for several years. "The immersion it can provide is very transportive. It makes you forget where you are and bring you to a new world of sound. You can hear from everywhere. There is no limited field." She tells us emphatically that this technology is going to be the future of audio playback, saying that "I believe that once everyone has had a chance to experience enhanced audio, they don't go back." Then, there's Dirac. 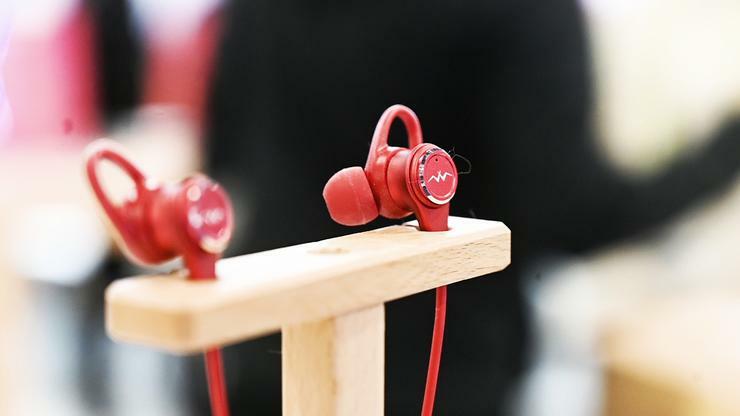 The Swedish audio technology company's digital sound optimization technologies have been adopted by some of the world's biggest smartphone brands including Oppo and OnePlus. 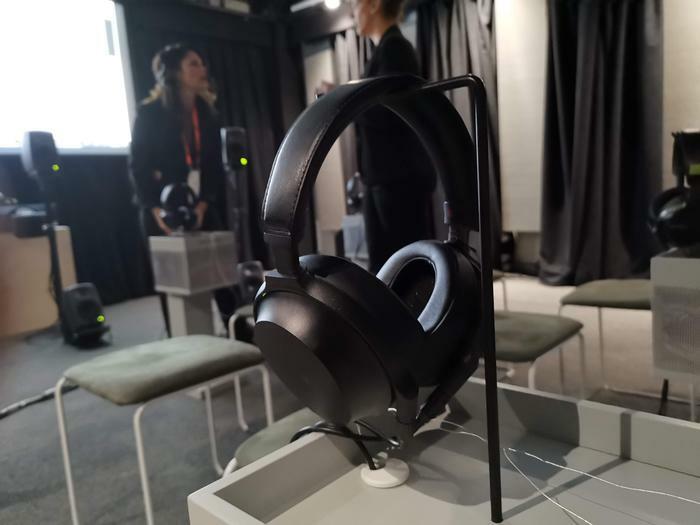 Peter Cedmer, Head of Product Management for XR Audio at Dirac, says that “3D audio represents the future of headphones, gaming headsets, VR/ AR, and more." It's hard to tell which, if any, of these varying approaches and technologies will succeed in bringing 3D audio to mainstream. However, all the same, the message was loud and clear. 3D audio is coming - whether consumers want it or not.